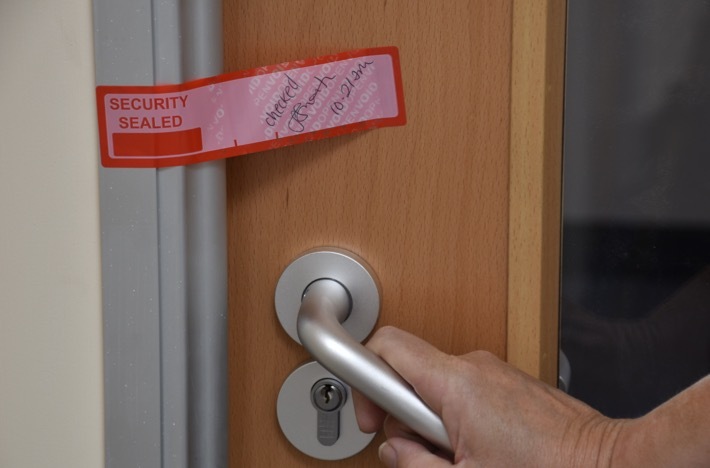 The threat to offices throughout the corporate, education and government sector has increased and the costs of manned security has risen. This has resulted in an innovative use of this non residue tamper evident label. 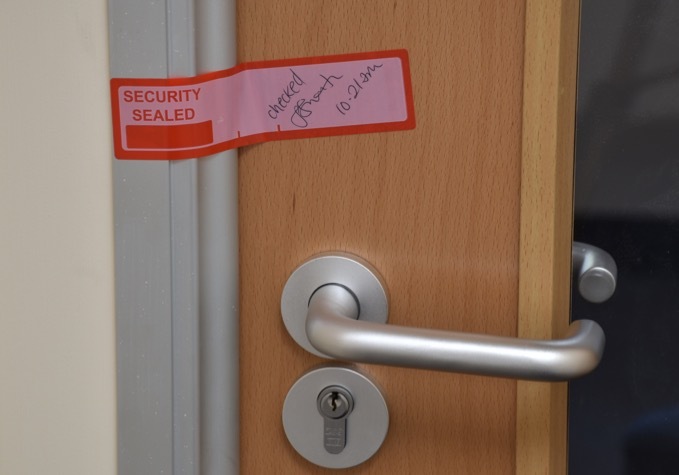 This non residue label can be applied to a door after the security guard has checked the room and judged it secure at the beginning of their shift. Once applied the room is then sealed and does not need entering again for security checks, saving time and money. 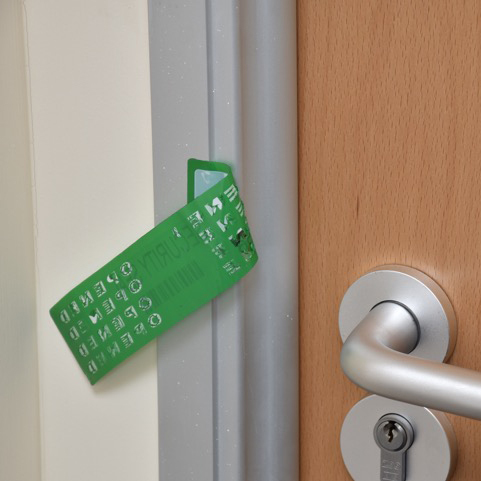 These labels have a receipt function for easy monitoring and can be overprinted with sequential numbers, room numbers, suite names, the choice is yours. 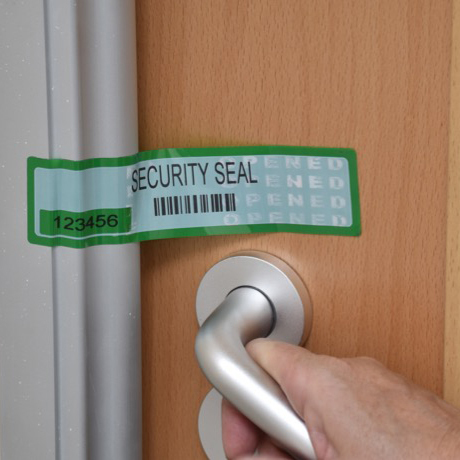 To find out more about the room security labels from Tampertech please contact us.